Maybe you’ve heard, maybe you haven’t but a great number of people will be involved in a small process at the end of this year to decide who would be president of our nation. Every election year it seems that we see many people become involved in, not just the political process, but politics and all that it entails for better or worse, and often worse. In any given election year, and at my age I’ve seen a few, there is an overwhelming outpouring of opinion and in those opinions it often looks like people who normally love Jesus, don’t really think He’s capable of much in the way of influence or power. During this time it seems a lot of people want their church to chime in on such issues and declare moral rightness in voting one way or another, whether in regard to a candidate or party, or with regard to specific propositions. It may be that there is a mass of confusion for people who love Jesus and are trying to follow after Him when it comes to political involvement. There are a lot of questions that come from this confusion, at least questions that need to be asked. Such as; where do we truly find hope? How do the hearts of people really change? What makes me so passionate about this stuff? At the very least there is the obvious confusion and at the very worst there is a borderline idolatry (or maybe even outright idolatry) that occurs every election cycle. Some people, as followers in Christ, want to know what their role is, if they are supposed to have a specific political affiliation or if it is the church’s job to tell them how to vote. Others believe they have the answer and are more than willing to share… many of whom are wrong (there… I said it). So to help bring perspective, I thought I would offer this 3 (maybe 4) part blog into the conversation. By the way, a conversation that involves people who love Jesus who find themselves on either side of the “aisle” for whatever particular reason, so please read on. Acts 1:8 – But you will receive power when the Holy Spirit has come upon you, and you will be my witnesses in all Jerusalem, and in all Judea and Samaria, and to the end of the Earth. From these two passages we can see and discern Jesus intent for the Church. We are to be about proclaiming the Gospel, baptizing, and teaching people who have come to faith to follow Jesus (making disciples). In addition there is as outlined in Acts 2:42-47 the church in community, but I believe this is what it looks like when the Gospel is lived out by the people of God. This is a corporately held mandate for all believers; it is not one that is executed solely by the pastor or leaders however we do understand that there are positions of leadership given to the church for it’s guidance and benefit. So then we have to look at the biblical role of the pastor. The pastor or pastor/elder (the Greek word is the same) is given a very specific role within the church and it’s important that we understand what that is. Paul also gives what I believe is the most complete and concise pastoral directive in Ephesians 4:11 – 12 “And He (Jesus) gave the apostles, the prophets, the evangelists, the shepherds and teachers, to equip the saints for the work of ministry for building up the body of Christ” The passage goes on to describe that equipping as building in maturity that we may grow in Christ-likeness. You may be able to see where I am going but we are not done, and I would please ask that you refrain from passing total judgement before getting all 3 (or 4) parts of this blog. Feel free to comment and ask questions. There is more to follow and in the next post, we will cover the confusion of the roles of the church and the pastor and more importantly the confusion of the role of politics and the gospel in our lives. As this thought and these verses tumbled through my head, it caused me to use twitter to communicate some snippets (which are on the right side of the blog window) but that just wouldn’t do. So here I sit this Wednesday morning at the kitchen table, laptop open, Mickey Mouse coffee cup freshly filled… onward! Jesus going into the temples and turning over tables does some things to our minds and hearts, on the one hand we love Jesus when He’s “sticking it to the man” and we love Him as the hero. On the other hand, we also experience the reality of Jesus being righteously angry, and this can be a little unsettling for some, if not many people. I want to get to the heart of this event and look at it from a place that challenges our hearts and helps us to examine the possible tables we are setting up. 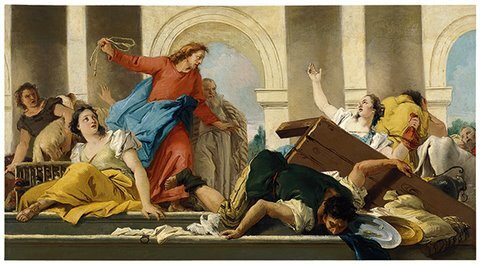 Jesus went in and overturned the tables of the money changers, literally these men were crooks taking money from Jew and gentile to sell them “temple coins” at a significantly inflated exchange rate. He also drove out the people that were “buying and selling”, and these men were selling animals for sacrifice, again at inflated rates, for the aforementioned temple coins. It was a crazy racket to be sure and it was going on in the church of the day. These people had turned church into something for their personal private gain and it was an insult to Jesus. First we have to know what church is for. The corporate gathering of believers for worship is for the glorification of Jesus, the lifting up of Him, His name, and His saving grace. Secondarily the church exists to disciple believers and proclaim the Gospel to the lost, notice these are equally important as discipleship contains both equipping and evangelism. From this community is fostered, service happens, needs are met, burdens are borne. 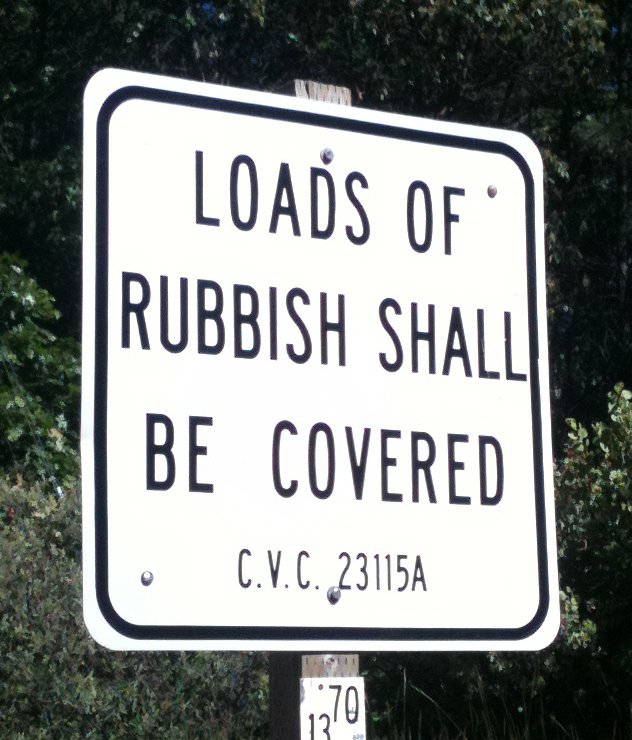 Consumerism – are we part of a church because of a specific program or person? Or are we part of multiple churches taking part in a bevy of program diversity, never really immersing ourselves into the fabric of the church, yet complaining that we are “not as connected as we’d like to be”? Symptoms of this table would include: Knowing you’d leave a church if the pastor wasn’t there anymore, if they ended or significantly modified your favorite ministry program, or the music changed. “Dating the church” going from local church to local church, usually within the same week, taking from the buffet table of program options and never plugging in or becoming a member of a local church. Building Dependence – Yes the church needs a local place to meet. There is no advocating doing away with church buildings, but we should consider doing away with depending on the building to house every last program, bible study, small group, coffee meeting, discipleship, mentoring… bleh!!! (you may gather that this one is a big deal to me). Can we stop running to the church facility and return to the home, have bible studies in our homes, do life together in view of our neighbors, heck… include your neighbors! Acts shows us the community of believers meeting both in the temple courts (corporate worship) and together from home to home breaking bread. I realize that it can be inconvenient to clean up the house, and have kids around during groups, but authentic community and discipleship CANNOT happen without inconvenience, discomfort, and stretching. Plus imagine the benefits of your children seeing all of their parents studying the bible together. Or what would happen if they took part? Symptoms of this table: Booking your small group bible study for a room in the church months and months if not years in advance. 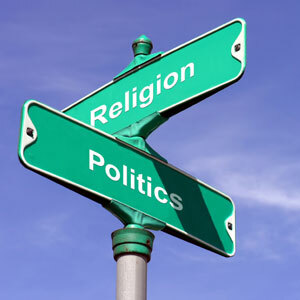 Political/Moral Ideology – The church can become a place where some are determined to promote their cause specifically in the political and moral arenas. The struggle here becomes an issue of competition with the gospel. The temptation exists to elevate our agenda item to an equal importance with the gospel and take passionate stances about certain ideas, arguments, and actions. Petitions are highlighted and announced, candidates are trumpeted (but not outright endorsed) measures are rallied for or railed against, and then we make some drastic mistakes. We can elevate certain sin issues into the spotlight offering (sometimes unintentional) condemnation, forgetting our own sin is just as filthy before a Holy and Righteous God. We can also assume that ALL Christians think politically the same, and assign a morality or maturity to our political bent, when in reality Christians are a diverse political spectrum (some are just too polite to say anything). We can no more assign a “Christian way” to vote, than we can determine whether pews or chair are more holy, nor can we rally against a specific sin without realizing that ours is equal, and that someone sitting in the congregation could be struggling and needs the gospel, and we could close them off simply by our tone. Symptoms of this table: Constant attempts to get petitions in the church lobby, political/moral handouts in the bulletin, or flyers on the windshields of cars in the parking lot. Frustration at the lack of “participation” by the church leadership or joy at the level of “participation”. Check-list Religiosity – Are we in church because it’s the “right” or “good” thing to do? Now understand, to be in church seeking, or searching is a good place to be, but that’s not what’s on deck here. I’m talking about “churchianity” where God is acknowledged but church is simply on the morality check list and serves to keep “The Man Upstairs” happy with me. Believe me when I say that this is indeed a table and Jesus wants to tip it over. Symptoms: Church feels like a chore to accomplish and accounts for all the “bad stuff” that’s done all week. JESUS DIDN’T JUST TURN THE TABLES OVER… HE DIED SO YOU WOULDN’T NEED TO SET THEM UP!!! That is the beauty of the Gospel, Jesus died so that we could be set free from the tables, from the agendas, from the “for me” church mentality. The problem exists because we forget the all sufficient nature of the gospel and the freedom that flows from it. We also forget that nothing is as important to communicate as the gospel and its freedom. That we celebrate this weekend that Jesus came and died for us while we were opposed to Him. So please if anything on this list convicts or challenges you… please contemplate and reflect on the gospel.. and for the sake of the gospel, repent and ask Jesus to nail those things to the cross and give you freedom. Indivisible… with Christianity for all? In all actuality I was sickly yesterday, laying on the couch sleeping, watching netflix, and having a great conversation with an old friend. Which brings me to another retro-type thought… Is it just me or did the movie “DUNE” seem so much cooler when we were kids? I watched it yesterday and thought it was kinda weird. I loved that movie when I was younger. One thing I have been thinking from time to time is that it seems American Christians seem to wait on the government to enact movement to situations and areas that the Church should have been a long time ago. Chew on that! So… The second half of this exasperation; political agenda. I fear we have place political conservatism above the cross. That “good Christians” should vote or think only in very specific ways and that we should only be caught up with certain issues. Again… CRAPOLA!! The problem with the zealous political wing of Christianity (if you can really put all that together) is the underlying insidious nature of what they really want. They basically want a new messiah. Much like the pharisees in Jesus day, they want a politically established leader who will affirm all that we believe as Christians as right and good and start to legislate as such. Now some may wonder why that is even a problem. It’s a huge problem, we shouldn’t want mandated Christianity, in fact it should scare the crap out of us. The thought of it should cause us to run out and get motivated to stop it. We should desire passionate, authentic, zealous faith that people gain from their interaction with the Holy Spirit, not something that they are doing in fear that the government will come barging in to their home to decree that they are not fulfilling their duties. Now… do I desire a Presidential candidate that has biblical wisdom and is a professing Christian… sure, but I don’t want a government that will start legislating Christianity as law, because the reality of the matter is… how long will it be before I don’t measure up? I’m not sure which aspect of this gets me most riled up, but to be sure there is a level of Hypocrisy that is extreme. We have certainly come right out and bashed any of the Arabian and Asian governments that have established any form of religious law and to be sure we praise the founders that fled England due to religious oppression under the established church state. Yet for some reason there are those that think that it would work here, that power and corruption would never take hold in these modern times. My response to that is… are you crazy? The major problem with this whole thought is not just having a faith mandated (establishment of a religion) and having people forced into a way of believing which never works, and I have no doubt in my mind that is not what God desires. The issue is again relying on governmental or institutional powers to do the work of the Church and God’s people. If faith and all morality is legislated, then faith and morality in and of themselves lose power. We need to seek true justice… and many times that will not come in the form of the government. It will come in the form of God’s people going forth and acting as His hands and feet to a fallen and broken world. Now please do not take this as a call to vacate the political process in general. It’s not.. go and vote, exercise your right to do so, vote with that same conviction and wisdom that guides you in life and trust the God, who is Sovereign over all, will see that the outcome is to His plan. So here it is… Monday again, and as we all know, Monday is blog day. Well, technically, it’s the day that I’m home, the kids are at school, and there is reprieve from the “honey-do” list. There has been a thought rattling around my head in regard to the political realm and the Christian faith (we did, after all, just have another election year). Now usually here is where the lecture or directive on some political view would go, but that’s not what we are here for… I think there is way too much weight put on what Christians should vote on and how (again, room for debate, but that’s not the point). More important than debate is finding a better intersection for our faith and our politics than what happens in election cycles or what political cause we attach ourselves to. But I digress, our political affiliations and philosophies are not my aim, but really it’s our hearts for our leaders that I am concerned with. It would seem the better intersection can be found in the heart of prayer. Would God put leaders into power, that we may disagree with philosophically, politically, or even morally, in order to check the heart of His church (people) when it comes to prayer? After all, what’s more important, the functioning of the government or our refinement as God’s people? I find that thought very challenging, but then, I find a lot of things that God does to grow me very challenging. As Christians, if we are honest, we already know that our first allegiance shouldn’t be to country but to Christ (yes there is a point to be made about our faith informing our vote and need to be wise, but that’s not the heart of the matter here) and in that we should seek to lift every leader we have over us up to God in prayer, agree or not. In fact I wonder if we shouldn’t be praying more for those we agree with less (and not prayers that they will see it our way either). I’m not sure if this particular post counts as a rant, but I guess it could be mistaken as such, either way I just want to see our hearts change from a people of faith that are widely known for one sided politics, to a people of faith that can come together despite political difference to pray for the wisdom and guidance of our national, state, and local governments. So.. bottom line… are we praying for our leaders at all? Are we praying for the ones we didn’t vote for? Are we praying for their wisdom (not our wisdom), clarity, safety, family? If not, are we really answering God’s charge to us, His body, to pray for those that are in authority over us? If not, let’s commit to changing that this year. Let’s start the discussion. Be sure to check out Wednesday which is retro blog post day… I’ll pull something off my old blog that might even be related to this.